This summer, VDM is partnering with he Violet Crown to host a Free Family Film Series. A new family-friendly film will screen every other week on Tuesdays and Thursdays at 10:30AM. The series starts on Jun. 21 and continues thru Aug. 18. Tickets are available at the cinema on a first come, first served basis until capacity is reached, and families will receive a half-price same-day admission to the Virginia Discovery Museum with ticket stub. VDM is excited about this new partnership and looks forward to working with the Violet Crown on many events. Located in Charlottesville, Frontrunner Signs started as a small vinyl shop in 2001. Since then, they have expanded with other items such as full color digital prints, identification products, awards and trophys. Frontrunner Signs has been a longtime supporter of VDM, supplying the museum with all of its Back Gallery exhibit signs and contributing wonderul new signage and many service hours to the 25th Anniversary Renovation project. Last September, the Virginia Discovery Museum and Child Development Laboratories at UVA partnered to create a Living Lab as part of a national initiative to bring child development research to the museum floor for public access. In addition to bringin researchers to the museum each Wednesday between 1:00-4:00 pm to engage children in short, fun games and activities, the Child Development Laboratories were instrumental in providing education research and signage to the 25th Annoversary Renovation project. Madison House is the volunteer center for University of Virginia students. They coordinate volunteers, develop leaders, build community partnerships and promote lifelong volunteer service. Madison House organizes service programs to address the needs of the community as well as the educational and personal growth objectives of students. VDM has long reaped the benefits of these enthusiastic and helpful student volunteers. Each school year, VDM welcomes more than 20 students each semester who interact with children, educate kids through programs and exhibit play, etc. We would not be here without their help. Base in Charlottesville, the Building Goodness Foundation is a nonprofit construction organization that connects skilled volunteers from design and construction industries with high-impact nonprofit organizations in need of new or renovated space. In December, the Virginia Discovery Museum received a local project grant from the Building Goodness Foundation. Through this grant, a team of skilled contractors and volunteers renovated the entire Front Gallery as part of VDM’s 25th Anniversary celebration. This renovation will upgrade and modernize over half of the Museum’s square footage and will include new flooring, lighting a new ceiling and new paint. Begining in April of 2016, a teamed of skills volunteers and contractors led by Jack Horn and Arthur Rogers of Martin Horn, Inc. renovated the entire Front Gallery as part of VDM’s 25th Anniversary celebration. This renovation introduced 6 new exhibit areas to the museum, including a a STEM Lab, Creation Station, Literacy Lounge, Sound and Music Studio, Construction Zone, and a Sensory Studio. Thanks to the generosity and wonderful planning of Martin Horn, Inc. this museum-wide renovation was completed in just 5 weeks, resulting in not only in a wonderful new look, but also in new partnerships with architects, subcontractors, suppliers, and employees of Martin Horn, Inc. Founded in 2012 as a Clinton Global Initiative Commitment, FCG Consulting (formerly known as the Formative Change Group) is organized and run by Master of Public Policy candidates at University of Virginia’s Frank Batten School of Leadership and Public Policy. FCG gives student Consultants the opportunity to work with community organizations and gain insight into concrete policy problems, while local organizations such as VDM benefit from independent policy analysis. Thanks to this experienced team of individuals, VDM was able to brand and market its 25th Anniversary Renovation Campaign. During VDM's 25th Anniversary renovation of the Front Gallery, VDM partnered with Linda Pye of Pye Interiors of Charlottesville. Thanks to Linda and her creative team, VDM was able to create a welcoming interior complete with beautiful colors, seatings, fluid layout, etc. VDM's Front Gallery also follows Pye Interiors mission to incorporate sustainability through efficient project management and excellent customer service. Beck Cohen is a electrical contractor in Charlottesville, Virginia and also serves the surrounding communities. For over 50 years, Beck Cohen has provided customers, such as VDM, with quality HVAC equipment and services. Ben and Patrick of Beck Cohen provided all the electrical and HVAC work for VDM during the 25th Anniversary Renovation project. Founded in 1978, Ceiling & Floor Shop's extensive products include a comprehensive assortment of carpet, wood, cork & bamboo flooring, ceramic & porcelain tile and stone, window treatments, ceiling and wall materials and resilient flooring. Their professional team provided all of the ceiling and floors tiles for VDM's 25th Anniversary Renovation project. During VDM's 25th Anniversary Renovation project, VDM received an all-over paint job courtesy of staff and volunteers with fun new colors of purple, blue, and tan. These many gallons of paint came from the very helpful employees at Sherwin Williams of Charlottesville. While you are admiring our new colors, think about getting some new paint for your home from Sherwin Williams. Crutchfield of Charlottesville has long been supporter of VDM through event sponsorships of KidVention and the Discovery Dash. This year, they partnered with VDM on the 25th Annoversary Renovation project, donating a flat screen tv, a computer, services, and a brand-new PA system. Their helpful and generous staff helped to bring the museum into a more tech-savvy atmosphere. WNRN is an independent, non-profit organization of professionals and volunteers producing informative and entertaining music programs for a diverse community. WNRN prides itself in giving our nonprofit neighbors a venue to promote their causes and events. They create recorded Public Service Announcements for nonprofits such as VDM that are written in their words and recorded in their voice. This series is called "Community Connections." VDM is grateful to WNRN for creating fun Community Connections that highlight the 25th Anniversary Renovation Campaign, Summer Camps, and events. 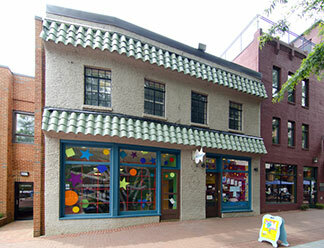 Did you know that the City of Charlottesville has been sponsoring the Virginia Discovery Museum for over 25 years? Thanks to the generosity of the City, VDM is able to enjoy a prime location on the Downtown Mall. Over the last 25 years, VDM has grown to be the #2 draw on the Downtown Mall. Our partnership with the City has allowed children in our community to enjoy a fun and safe educational experience. Looking for a fast, kid-friendly, and affordable place to have lunch after enjoying a morning at the Virginia Discovery Museum? Check out our friends at Baggby's! On every first and third Saturday each month, Baggby's is donating 10 percent of their sales to the museum. Help us say thank you to this wonderful, family-owned downtown business and stop by this Saturday to try one of their many delicious gourmet sandwiches! Local Catch has installed dozens of tiny iBeacons at locations on and around the Downtown Mall, including VDM. The beacons send signals to your iPhone from up to 100′ away, letting you know about deals and events happening at the museum. The Kiwanis Club of Charlottesville strives to improve the world by serving children and youth, one child and one community at a time. Each year, the Kiwanis Club sends enthusiastic teams of volunteers to VDM for service nights that attempt every task from cleaning, to building, and most recently to preparing the museum for its 25th Anniversary Renovation Campaign. These volunteers bring their good cheer and helping hands and VDM is eternally grateful. 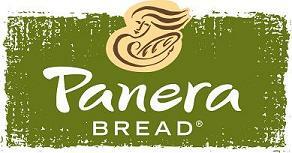 Be sure to stop by Panera Bread the next time you are at Barrack's Shopping Center. Panera Bread is a long-time supporter of the museum, sponsoring a mini-Panera Bakery in Little C'Ville in the Back Gallery and providing food at numerous events including the Discovery Dash, KidVention, and Day of Caring. Staff, visitors, exhibitors, and volunteers have enjoyed the wonderful collaboration of this partnership. After eating a pretend bagel at VDM's Little C'Ville, stop by Barracks Shopping Center for the real thing! 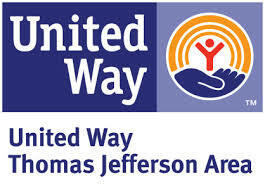 United Way has been serving the needs of Charlottesville's organizations for many years. Each September, they provide VDM with wonderful and enthusiastic volunteers for Day of Caring. This past September was no excpetion. Thanks to our 35 volunteers from the Daily Progress, University of Virginia Library, and UVA College of Arts & Sciences, VDM staff was able to clean, paint, repair, and present a refreshed look to the public. What a wonderful job! Many thanks to Charlottesville Family Magazine for their unwavering support of VDM. A sponsor of VDM's Pollination Station and frequent event exhibitor, Charlottesville Family Magazine has also honored VDM with a wonderful adverting campaign in their monthly issues. Check out their latest magazines for updates on VDM events and programs. VDM is always on the lookout for new ways to connect with local area business and organizations in Charlottesville. If you are interested in helping VDM to reach out to the community's children, please contact us at vadm@vadm.org or call 434-977-1025 ext.102.